A natural moisturising body wash with added Glycerin to help retain your skin's moisture. Citrus & Lavender are a truly soothing combination, with the added benefit of antioxidant properties, leaving your skin supple and firm. Vibrant, fruity lemon and sweet, smoky lavender evoke the scent of an English garden in summer. 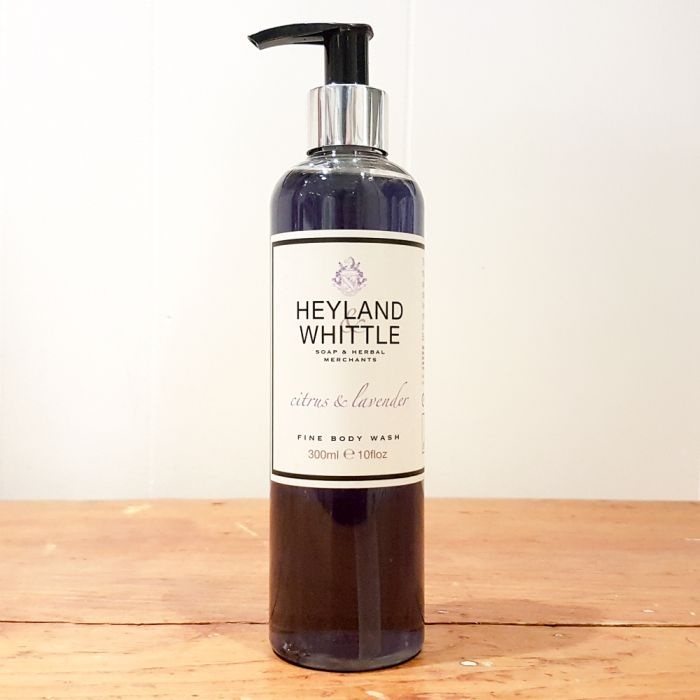 Size: 300ml body wash by Heyland & Whittle, made in England.